Can You Afford Not To Use Social Media? When it comes down to it much of the success that I’ve enjoyed as a teacher and historian over the past few years is the result of social media. I’ve taken full advantage of it from regular updates on this blog to Facebook and Twitter. Each platform has a slightly different focus. The blog functions as an extension of my classroom; Facebook allows me to stay in touch with old and new friends, and Twitter provides an ideal way to share and receive information in short bursts with people who share a common interest. However, what they all have in common is they provide an effective means of remaining on the radar screens of current and future friends and colleagues. The past few weeks provide a number of examples to support such an observation. Back in August I was contacted by a publisher, who was interested in commissioning a book on the subject of black Confederates. The contact was the direct result of my writing on the subject on this site. This past week I was contacted by the Smithsonian Institution about the possibility of offering a series of lectures for one of its spring programs. Again, the contact was the result of this site. And this week I completed an abstract for an SHA session that was organized by a regular reader of the blog as well as a Facebook friend. The point here is not to toot my own horn, though I would like to think that the quality of posts here as well as my published work have something to do with my limited success. Rather, it’s to point out how little it matters apart from the broader goal of sharing an interest and scholarship with the public. The mistake that people make is in thinking about social media as a way to build community. Some of you who have been around for a while know that not too long ago I was fixated with creating a Civil War Memory community. At one point or another I included Google Friend Connect and even a widget for the Civil War Memory Facebook page in the sidebar. Somehow I envisioned readers connecting with one another and continuing discussions in various online spaces. I now see this as completely misguided. There are no Online communities; in fact, it demeans the very concept of community. In the end, social media affords the user the opportunity to build an AUDIENCE. My audience includes roughly 1,000 regular readers of Civil War Memory, 738 friends on Facebook, 350 members of the CWM Facebook page, and 490 Twitter followers. In the context of my role as a teacher and historians, all of these people have the potential to respond in various ways to what I produce online. They can shreak in horror, laugh, agree, or disagree. These same people can also, “Like,” “link,” and “retweet.” Oh…and they are also potential customers for a book about the battle of the Crater and historical memory that may or may not be published. Interesting item on connection with audience. This is a small point, but I find readers often comment on Facebook links rather than on the blog itself. It could be ease of use, or perhaps they really do want to communicate with each other. Oh there are genuine online communities, usually older and topically-focused discussion boards that have a large user base. I belong to a couple, one for academics and another for owners of air-cooled VWs. I agree that I don’t know of a blog that has generated a community, with the possible exception of MetaFilter. While I agree that there is a great deal of communication taking place on some of these sites, I don’t necessarily see it as a community. I’d have to agree with Larry on this one, there are a number of communities out there. The term is “community of interest” (COI) is the identification used in the knowledge management seminars. A good indication of the community nature of a COI is communication focused on defining (and redefining and reinforcing) terminology and processes seen as “proper” or acceptable within the community. Yes, COIs tend to be centered around interactive sites, much less blogs. But I’ve seen a lot of blogs used as platforms for the discussions. And with amazing results I might add. However, let me submit that “Civil War Memory” is not, do to the topic’s nature, a good subject for a COI. I definitely get where you are coming from, Craig. If we such a narrow definition than I agree that some sites would count as a COI, but I am thinking of a community along more robust lines. Then I’d have to ask what your definition of community is. Using the standard sociological definition, there are plenty of examples of communities within the Web 2.0 world. All shapes and sizes. It seems to me that listservs contain aspects of what goes into a community, specifically in the process of information sharing. I do think that Civil War Memory has functioned well as a platform for information sharing as well, but the focus of a blog is the blogger as is the case with most Web2.0 platforms. Facebook is a great example of my distinction between audience and community. Yes, FB allows for information sharing, but in the end it is much more focused on performance and attention seeking. I don’t consider my FB page to be a community nor do I consider my participation on another FB page as engaging in community building. These are short bursts of information sharing. 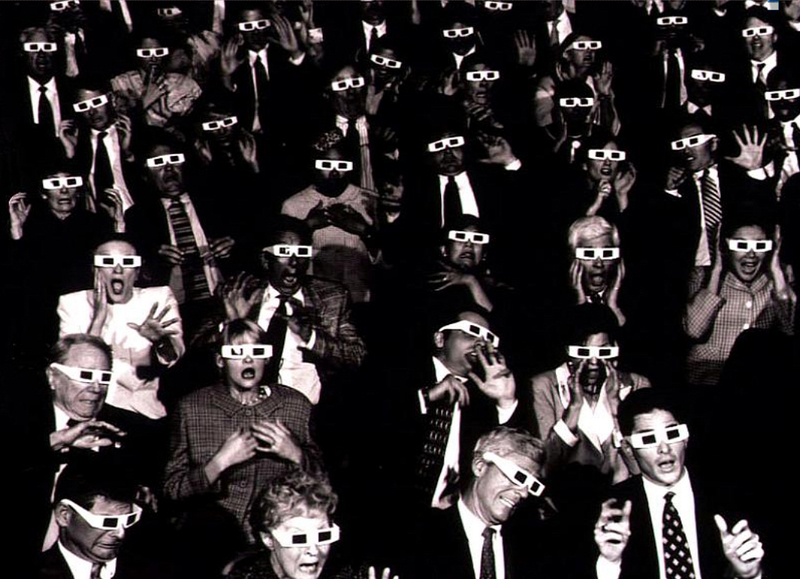 I much prefer the audience model as a way to understand Web2.0. I get a lot of referrals in my line of work where the customer complains about a “web outreach” that does not function properly. All too often we discover the outreach is working, but has gone, as I like to call it, feral, outside the customer’s collaboration space. I would submit that you have a “community of interest” which includes a lot of side discussions outside of your blog and FB page. Indeed, there are many readers who carry their conversations to other online spaces. Those are hard to trace without knowledge of the individuals and groups (vice communities), and the varied online platforms involved. And as mentioned before, I think it a poor topic if you are looking for an easily measured COI. Just the nature of opinion based COIs. In fact, there is a rather active sub-COI of “Civil War Memory” out there which is defined by the notion that you are the, and I quote, “Arianna Huffington of the Civil War.” They’ve even taken to defining categories of your posts – plain old screed, academic hypocrisy, anti-Confederate tongue wagging, black Confederate banter, outlandish revisionism, heretical insults to southern society…. I love the reference to “Arianna Huffington of the Civil War.” You make a number of really good points, which I need to think about some more. I guess I would like to know what the difference is between a couple of people whining about my site and a community of interest or even a more robust notion of community. In the end I don’t see myself as fostering a community or taking part in one. Again, I see my readers as an audience, but an audience that I can interact with in different ways. Kevin, my advice and observation is that any online community is directly reflective of the efforts the promoter put into the community. And that’s not to say the more effort you put towards a community, the more “community” you will have.